Is this you? Too many photos and videos — not enough time to organize and share them. If so, RealTimes, a new app and service from RealNetworks, may be something to check out. 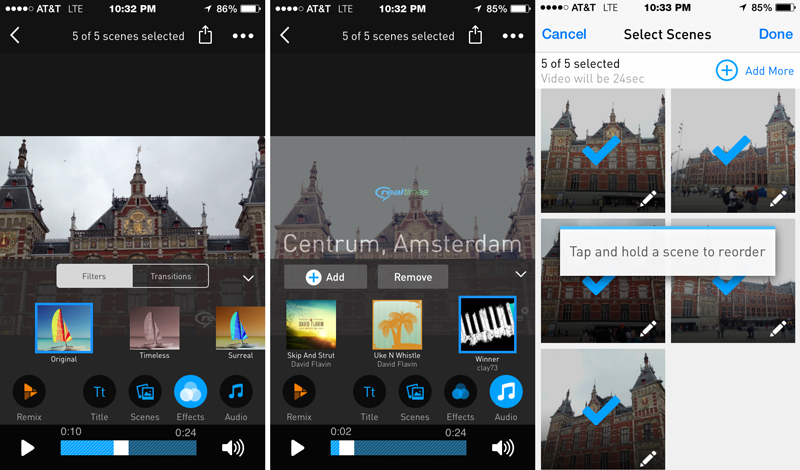 RealTimes automatically picks the best moments from your camera roll to create a RealTimes Story — a video montage from your smartphone photo and video collection. 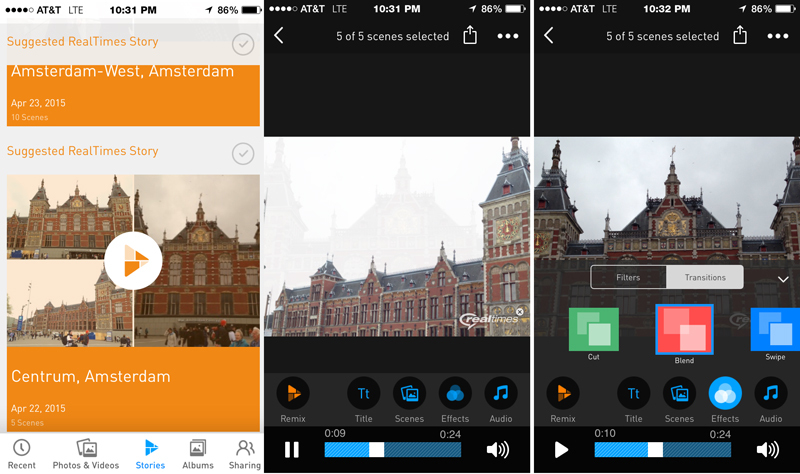 You can customize RealTimes Stories by rearranging clips and photos, changing duration and adding filters and soundtracks. RealTimes Stories can be seamlessly shared, as recipients don’t need the app to view the stories. 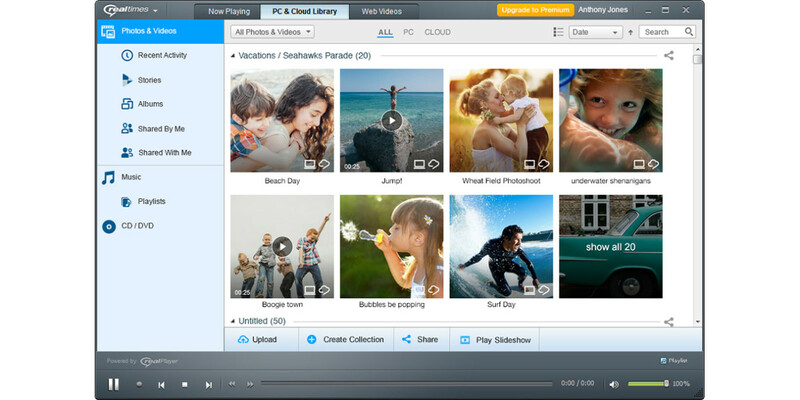 RealTimes is derived from an older app called RealPlayer Cloud, which RealNetworks launched in 2013. All of RealPlayer Cloud’s features are rolled into the new app and users can upgrade to RealTimes for free with all their photos and videos automatically migrated to a RealTimes account. RealTimes competes on various levels with a number of consumer photo and video apps and plans, such as Flickr, Dropbox and iCloud. RealTimes, however, mixes everything together in a single package and gives it a creative spin. In addition, all photos and videos are organized in a timeline making them easy to search. You can transfer media between any devices on the same Wi-Fi network via drag and drop. RealTimes is available for free on Android phones and tablets, iPhone, iPad, Windows PCs, Roku TV players (viewing only) and Chromecast (viewing only). It will soon be available on the Mac, Amazon Fire Phone, Amazon Fire TV, Amazon Kindle Fire and Xbox One. The service provides 2GB of cloud storage free, plus an additional 5GB to those who use the auto upload feature. There are two subscription plans: a $4.99 per month premium plan provides an additional 25GB of storage, while $9.99 per month gives you an unlimited plan letting you access all music tracks, filters and effects for unlimited story duration and storage use for up to 15 devices. Users can also go for the in-app $.99 purchase which allows them to create a longer story. The app is currently available in English, Spanish, German and French, Italian, Japanese, Korean, traditional Chinese and Portuguese.